Influenced by ancient symbols of power and identity, The Queen’s Beasts Collection is inspired by the ten imposing statues that lined the entrance to Westminster Abbey at Her Majesty The Queen’s coronation in 1953. These heraldic beasts are representations of an enduring legacy that charts the pivotal events and twists of fate that have come to define our ruling dynasties. 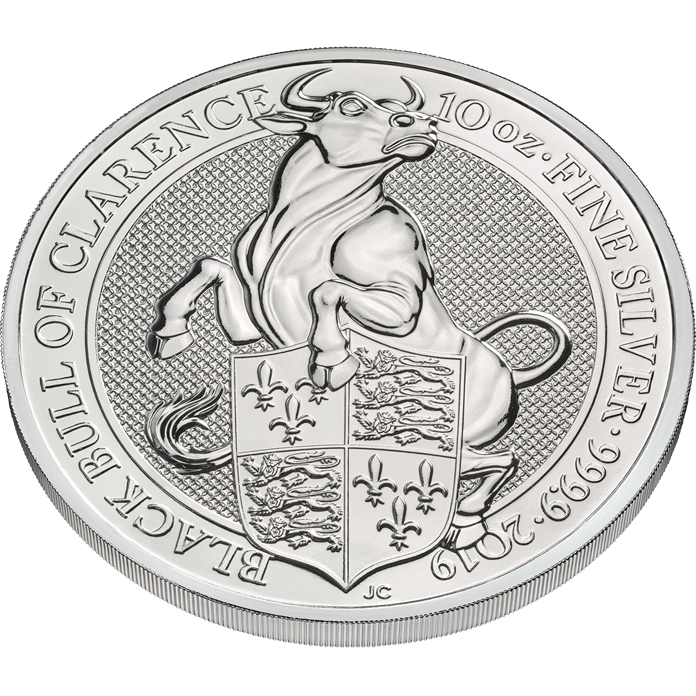 Following the success of the previous releases in The Queen’s Beasts Collection, this ten-ounce silver bullion coin is a new addition to the range. In heraldry the bull represents valour, bravery and generosity. 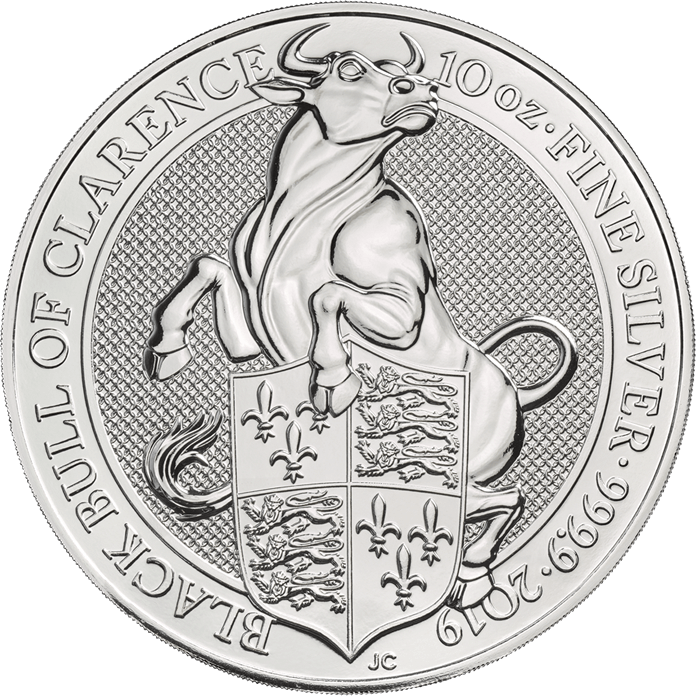 The Black Bull of Clarence is the earthiest and most English of The Queen’s Beasts and is associated with the rise of the House of York during the fifteenth century. It was adopted as a heraldic symbol by Edward IV, the first Yorkist king and a key protagonist in the Wars of the Roses. The bull first appeared on the Royal Arms in the 1560s in the reign of Elizabeth I, when she ordered the recoinage of all silver coins. 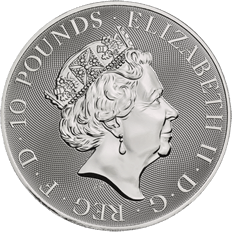 This ten-ounce silver bullion coin features another original portrait by Royal Mint coin designer Jody Clark. 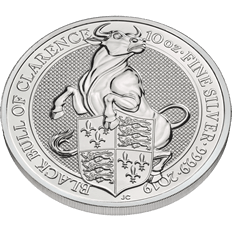 The bull has been portrayed as powerful and muscular in a design inspired in part by rodeo images as well as classical sculpture. 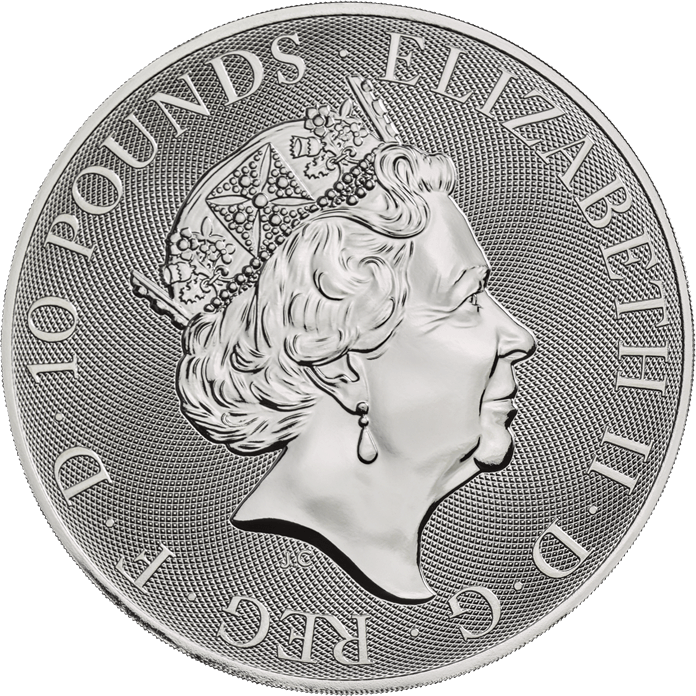 This bullion coin from The Queen’s Beasts Collection is also available as a gold one ounce and quarter-ounce edition and a platinum one-ounce and silver two-ounce edition.